Search your jewelry boxes for any unwanted diamonds. Unfortunately, we only purchase diamonds of 1 Ct or more. 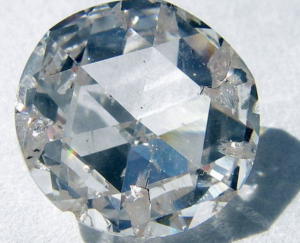 If you have an appraisal of the diamond, make sure to bring that along, too. Bring it to our store to have our staff evaluate your diamond. NO appointments are needed. FCE staff will evaluate your diamond based on the cut, clarity, color and carat of your diamond. We make you an offer on the spot while you wait, and if accepted, you will be paid on the spot. Please note: We do NOT purchase items from anyone under the age of 25. We do not buy ALL diamonds; certain styles and qualities are more desirable than others. Also, please keep in mind the jewelry industry has one of the largest mark ups across industries. More than likely, you will be offered what you paid for the diamond.